The above figures assume seasoned timber (i.e. 15% moisture content). Fresh (green) timber will contain substantially more moisture, it would also be unsuitable for burning. Hardwood is a more economic fuel. Based on the above figures, common softwood is approximately 30% less dense than common hardwoods and therefore produces 30% less energy. But my local timber supplier sells seasoned hardwood logs (mixed) for only 15% more than the mixed softwood. Therefore there really is no point buying seasoned softwood, if you have the choice. It costs more per unit of energy produced and it burns faster, produces less heat and needs more storage area. 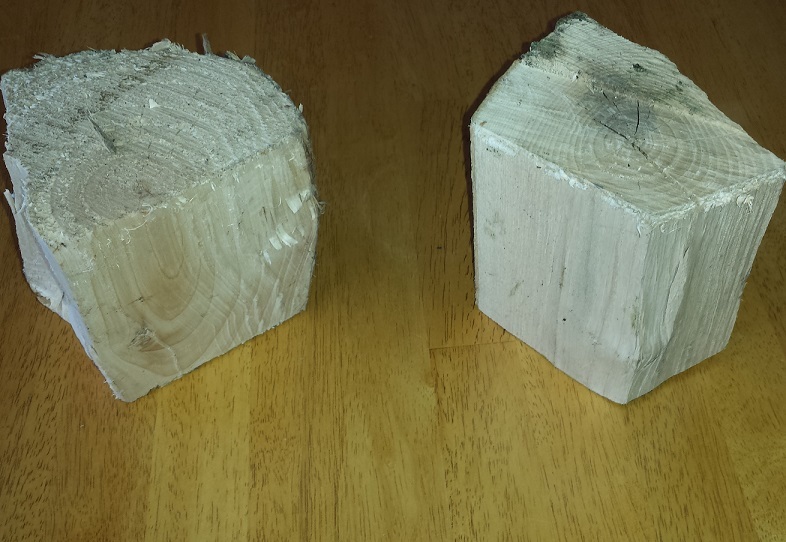 But softwood does has some advantages for firewood; it drys (seasons) quicker than hardwood when cut. Which is an important consideration from an Irish perspective, with our mild and moist climate. 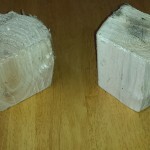 It is also easier to light which means softwood is usually used for kindling. What do you give a grandma who does not want for anything. This beautiful poem.